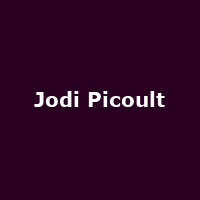 "Jodi Picoult is one of the best selling authors writing today, with a massive fan base in the UK. This is the first time in two years that her fans will have the opportunity to hear her talk live about her latest and most important book yet. She has sold over 6 million copies since October 2004. Eleven of her previous titles have been Number One best sellers in the UK. Her last eight novels have debuted at number one on the New York Times bestseller list. It is estimated that there are 40 million books by Jodi Picoult in print in 35 countries."